Mutants exist and they’re helping to save the planet. OK, not those kinds of mutants. But these are equally cool. 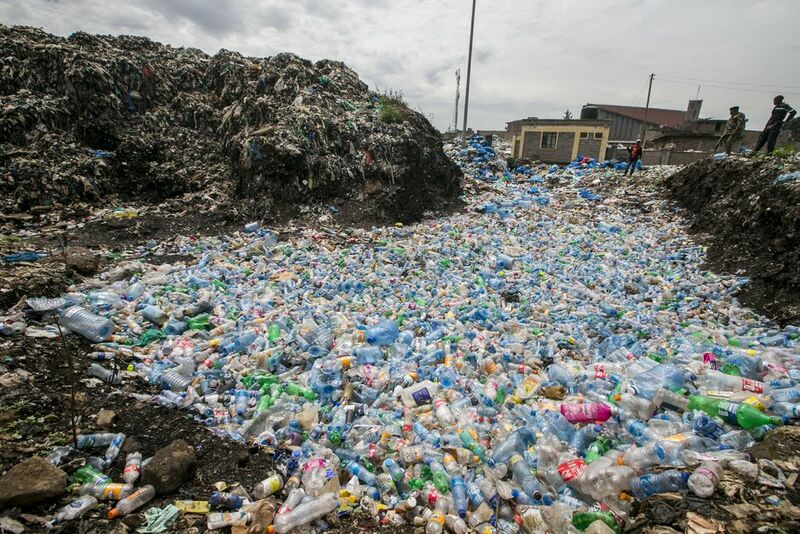 An international team of scientists has created a mutant enzyme that breaks down plastic drink bottles, according to the journal Proceedings of the National Academy of Sciences (the link is down at time of writing). The creation of the enzyme came by accident when the team, led by Professor John McGeehan at the University of Portsmouth, UK, tweaked a bacterium they had discovered in a waste dump in Japan in 2016. The bacterium had naturally evolved to eat plastic, and the scientists inadvertently made it even better at breaking down polyethylene terephthalate, or PET, the plastic used for drink bottles. The break-down process starts in a matter of days, not the centuries it can take in the ocean. In 2017, researchers found 38 million pieces of plastic waste on an uninhabited South Pacific island. Figures from the same year showed that a million plastic bottles are bought around the world every minute. That number is predicted to jump 20 percent by 2021. Mysterious Times, thanks! And thanks for sharing your great posts every week! Welcome. And thank you for visiting!